Mac OS 9: Some Love for the Classics! 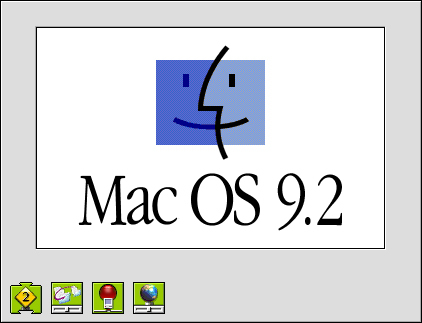 Long before the current macOS 10.13 High Sierra or even before any of the OS X systems, there was Mac OS 9. While not as aesthetically pleasing compared to current day operating systems, Mac OS 9 was sleek, super responsive and a joy to use. Hardware support was excellent: Macs from 1994 to 2003, with the oldest being the Workgroup server 6150 and the latest being the PowerMac G4 MDD, were able to run Mac OS 9. Mac OS X 10.4 Tiger - Runs on Macs from 1999 - 2007, both PowerPC and Intel. You get the idea. Thanks to the way Apple builds its operating systems, you can keep your hardware around for many years. Even when your hardware can no longer support the latest OS, you can choose to stick with the OS you currently have for many more years of use. But why would people keep an OS around that's now 17 years old? Most people on an old version of OS X, such as 10.3 Panther or 10.7 Lion, jump at the chance to upgrade to a newer Mac that can run a newer version of OS X, but why is Mac OS 9 different? Unlike early versions of OS X (with the exception of 10.4 and 10.6 in my humble opinion), OS 9 is a delight to work with. There are some OS 9 subscribers who hold out for cost reasons. Computers are prohibitively expensive where they live, and these people would also need to spend thousands on new software licenses and updated hardware (on top of the cost of a new Mac). But many more speak of a genuine preference for OS 9. These users stick around purely because they can and because they think classic Mac OS offers a more pleasant experience than OS X. Creatives in particular speak about some of OS 9's biggest technical shortcomings in favorable terms. His article mentions several stories of people who use Mac OS 9 and their reasons for doing so. It's mostly found in labs, audio production and composition, pre press, graphics departments and even certain government branches. I thought I might find a bunch of fanatics who refuse against logic or reason to get with the times. But for most adherents to the ways of OS 9, that doesn't appear to be the case. If you've gotten this far in this story, it's likely the majority of you reading have and use a Mac OS 9 computer (and already know all of the above). Whether you're a long time Mac OS 9 user or just starting out as a hobby, there are some security best practices that are a good idea to follow. Let's have a look at some classic Mac security software, designed for Mac OS 9 — and still available for you to tinker with right now. 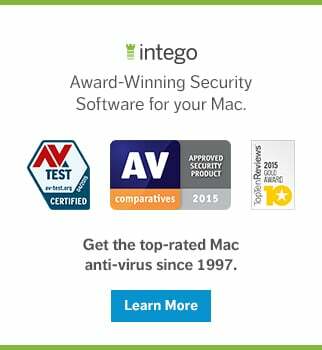 Back in the day, like, way back in 1997 when Intego was founded, antivirus for Mac was always a good idea. With file sharing and the Internet just starting to take off, malware, even for Mac OS 9, became a problem, so why risk it? The same security advice holds true today. That said, using an antivirus in those days on a Mac was more to protect your friends and colleagues using Windows, to make sure you didn't accidentally forward them an email with a virus or give them a CD or Zip drive with a malicious file on it. Even today, you can still be the good neighbor and install an antivirus solution for Mac OS 9 to protect those downstream from you, so what are your options? It took some digging (a few months actually), but we found VirusBarrier 1.6.2 and, while we no longer officially support this version, we made it available to download here. * It includes the virus definitions up until October 2002, so any Mac OS 9 malware out there is covered. This is a fully functional and pre-licensed version. If you already have a VirusBarrier 1.6.2 installer but just need a license, use pnqx-hks4-zrs2-tywi with any name and organization. VirusBarrier runs very light, taking up just 6.6MB of memory during a scan, less when idle. If you have your Classic Mac connected to the Internet or a network of any kind, a firewall is most certainly recommended. I do not recall a Mac with OS 9 on it ever being hacked back in the day, but those days were long before hacking was the popular cybercrime it is today. It's not unreasonable to think there are ways to hack OS 9, and tools such as Shodan can make finding such machines much easier. A firewall to keep unwanted traffic out is a good idea on any network connected system — Mac OS 9 is no exception. Due to the limited system resources available though, a hardware firewall might be a better way to go here, but this can get pricey and you have to know how to properly configure and monitor it. A software firewall, however, is the next best thing. Enter Intego NetBarrier, the first ever firewall software for Mac. NetBarrier was revolutionary for its time, release by Intego in 1999. While the chances of running into Mac OS 9 malware today are slim to none, unless it may be hiding in your old backups, the chances of intrusion via the network or Internet are as high as they've ever been. With a highly customizable firewall, anti vandal (intrusion attempts blocking) and even ad blocking, NetBarrier is an incredibly useful utility that is a must have for Mac OS 9 machines that are connected to any network. Want to run NetBarrier 2.2 on Mac OS 9 ? You can grab a copy of it right here. * NetBarrier 2.2 sports the then-brand new Aqua look, and it was the last firewall version to be compatible with Mac OS 9 before Intego's transition to Mac OS X versions. Once installed, I recommend disabling features you don't need and spend some time exploring this highly customizable firewall. You will find a live network monitor in your Control Strip which is also fully customizable, so it can show you exactly the live traffic of the application or protocol you want to keep an eye on. And if you want to see even more real-time traffic stats, just minimize NetBarrier and it'll transform into a Real Time Monitor. NetBarrier also runs very light, taking up just 4.8MB of memory during a very active network session, less when idle. With Mac OS 9 not having the most solid reputation for stability, having a backup of your system and files is important. While backing up on Mac OS 9 can be done by dragging & dropping to another drive, having it done automatically will ensure nothing is missed. One of my favorite backup utilities for OS 9 is Intego Personal Backup. At the time it was (and still is) one of the best Mac OS 9 backup utilities around, because of its versatility, speed and reliability. With Personal Backup, you can set one or several tasks that either backup or synchronize your data and set a schedule to run hourly, daily, when you shut down your Mac and can even retain several copies of the data. Backing up automatically, let's say every hour, and retain old copies of data... hmm... Sounds like Time Machine to me! Indeed, it is exactly like that, without the fancy animations you have in Time Machine these days, of course. Clone the whole system daily, synchronize select folders and backup folders with often changing contents while retaining as many copies as you want. Personal Backup will let you do it. I recommend that you set it on a schedule, so backups happen automatically while you're sleeping, out to lunch or both. 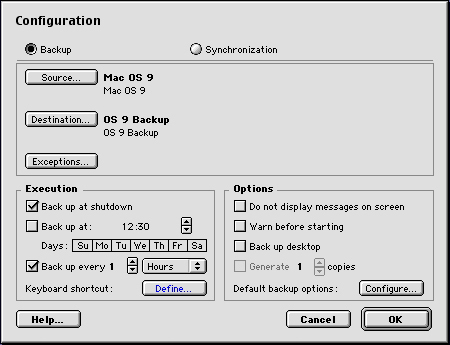 Mac OS 9 does not multitask like OS X does, so running a backup utility (or antivirus scan) will tie up your system pretty good while it's running, hence the recommendation to run these kinds of intensive tasks while you're away from the keyboard. As with the previously mentioned utilities, Personal Backup runs very light, taking up just 1.6MB of memory while a backup is in progress. If you compare the above resource usage screenshot with the ones from VirusBarrier and NetBarrier, you'll notice a difference in color scheme and Mac OS resource usage. This is because I had to re-take some screenshots on another computer. And...whoa! Just now, my PowerBook G3 that I was using up until this point decided to stop powering up! I was able to boot up a PowerMac G4 from the clone made by Personal Backup, copy the whole Mac OS 9 system back and continue work in less than 12 minutes. The fact that this happened while I was writing this article cannot be a coincidence, so I had to share this. For those not familiar with Mac OS 9, I keep mentioning the amount of memory these apps use, because back in the day (and still today, depending on the hardware that's used) memory was measured in MB's, not GB's. The most common Macs used today to run OS 9 are PowerMac G4's, which can handle 1 or 2 GB of memory depending on the model. However, there are plenty of PowerMac G3's, iBooks and Powerbooks used by Mac OS 9 fans and some of those models top out at 512 MB or even as low as 160 MB. That is assuming the memory was upgraded; in its default configurations, some of those machines had just 32 or 64 MB of memory! One of my favorite Classic Macs is the PowerBook nicknamed "Pismo." It's 500MHz and has only 512MB of memory as one of the RAM slots is broken. With such little resources available, every megabyte counts. *NOTICE: Intego's Mac OS 9 compatible products are available and free to use. However, they are completely unsupported and users can no longer update virus definitions beyond what's included. 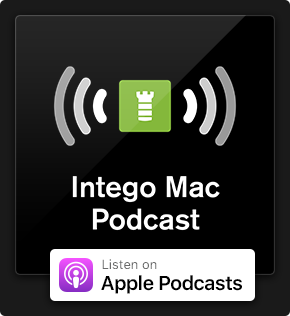 Intego no longer supports its legacy products for Mac OS 9, so use at your own risk. Grabbing a new hard drive for your OS 9 computer falls under data security. Amazingly, most of these old Macs still use the original hard drive. At capacities ranging from 3 GB to 120 GB, these hard drives were small in capacity, mostly slow at just 4200rpm or 5400rpm — and noisy to boot. The higher capacity drives offered in the G4's were faster at 7200rpm, but could still be pretty noisy. These drives, however, worked and kept working, and kept working, and...you get the idea. Maxtor drives became questionable after they hit the 30-40GB capacity mark, but other brands were amazing. Some of the common brand names were Quantum, Maxtor, Fujitsu, Hitachi, Western Digital and IBM, all of which have since been swallowed up by other vendors. Today, I have trouble trusting a hard drive that's more than 4 years old, but when it comes to these 20+ year old drives that shipped in these Classic Macs, if they still work it's usually acceptable enough to work from it. While it adds to the user experience to hear one of these old drives spinning, clicking and grinding (signs of bad news in modern drives yet perfectly normal back then), it's very possible the drive is actually in poor shape. Mac OS 9 did not have S.M.A.R.T. reporting to let you know there were bad sectors or other issues, it just worked until one day it didn't. Making the general assumption you're using a G4 of some kind, this still leaves you with a 14 to 18 year old hard drive that is certainly due for an upgrade. A new 'old' drive can be picked up on amazon for a few bucks and will give you some peace of mind. Doing this, along with making backups, should ensure your data is safe. If you want some better performance, you can even go Solid State! Using an IDE to mSATA or IDE to CF adapter you can use a small SSD or CF memory card as a hard drive; maxing out the speed of the IDE, bus doesn't take much but it'll be faster than the IDE hard drives. As with any system, keeping your operating system (OS) and software up to date will ensure you have the latest enhancements and security fixes. Unfortunately but not surprisingly, there are no more software updates for Mac OS 9 or any of the software that runs on that OS. However, there are a few important updates that should be installed. Those are some of the popular models and their firmware updates. To see if your specific model Mac needs an update just do a search online. You'll also want to look for the latest graphics cards drivers. As there are too many different models and versions to list, these will have to be found by searching online or asking in support communities (more on that later). With the OS and its components no longer being updated, some of the built-in features can simply be too risky to have enabled. We don't know how or if these can easily be exploited these days, so it's better to be safe than sorry. Using the Extensions Manager, disable the Multiple Users control panel and Multi-User Startup extension and restart. Vulnerability: ""Multiple Users" Control Panel in Mac OS 9 allows Normal users to gain Owner privileges by removing the Users & Groups Data File, which effectively removes the Owner password and allows the Normal user to log in as the Owner account without a password." If your Mac is network connected, having File Sharing enabled is just asking for trouble sooner or later (on any OS). Using the Extensions Manager, disable the File Sharing control panel and File Sharing Extension and File Sharing Library extensions. Restart to apply the configuration. Using the Extensions Manager, disable the USB Printer Sharing control panel and USB Printer Sharing extension. Due to incompatibilities in protocols printers you share on your Classic Mac will likely not be found by any Macs running later versions of OS X so this can be disabled. Using the Extensions Manager, disable the Web Sharing control panel and Web Sharing extension. Also use the Extension Manager to disable any control panels and extensions you don't need, this will make your OS boot faster and run with a bit more resources available. If you read this article and are curious to try Mac OS 9, or even if you've been using Mac OS 9 for a while, there are some great resources available online. Some of them I have already used in this article; for example, pure-mac.com. I will wrap this up by sharing some links to useful websites and some must-have Mac OS 9 software. These websites and groups can help you find anything whether it's specific hardware or software, and of course, it's just fun to share stories and photos of restore projects and help other Classic users if they have a question or problem. USB Overdrive - This will give you the option to use mice with scroll-wheels and multiple buttons. If you don't mind a "please purchase" warning when you boot your Mac, the free version is enough to get good mouse functionality. You can of course purchase USB Overdrive if you want. Stuffit Expander - Most software you get for Mac OS 9 is compressed in a .sit or .hxq archive and Stuffit Expander will be required to open them. On the linked site, look for version 7.0.3. Classilla - Back in the day Internet Explorer for Mac and Netscape got the job done (kind of), but those browsers are mostly useless now. Classilla is a browser for Mac OS 9 that makes browsing the web pretty doable on Mac OS 9! Fetch - Communicating with other Macs or servers can be tricky. Mac OS 9 uses AFP, as does OS X, but they are different versions and therefore not compatible. Mac OS 9 also does not support SMB for file sharing. There are some utilities out there to get some of this compatibility back, but it's bulky and buggy. The easiest way to share files between your Classic Mac and, well, anything else, is to use FTP. Using Fetch you can easily upload and download files to the FTP share. The last version compatible with Mac OS 9 is version 4.0.3 and can be found on the developer's website. Roxio Toast - This software is required to use the CD/DVD burner your Mac has but is also very useful to open disc images. Some of the software out there comes as a .toast disc image which will require Toast to open. GraphicConverter - Very useful to convert graphics files from one format to another. Without GraphicConverter I would not have been able to use the product screenshots in this article. Mac OS 9 screenshots can not be opened on OS X as the picture format is not recognized (not even by GraphicConverter for OS X). AppleWorks - The word processor of choice and predecessor to what most know today as Pages. I actually do a lot of my writing in AppleWorks still! Personally, I am a collector of vintage Apple products and a huge fan of Mac OS 9. The Macs I use for work are all Intel machines running El Capitan or Sierra/High Sierra, but for some things I always switch to my Pismo if I want to work on the couch, or I use my Power Mac G4 when in the office. Writing is something I love to use Mac OS 9 for. No notifications, no emails, no messengers or other distractions, just writing. Of course, my rather large collection of games for Mac OS 9 are a big reason for keeping it around, too. Myst, Riven, Myst 3, The Journeyman Project, The X-Files, Unreal Tournament (which some friends and I still play online sometimes!) and Quake 3 Arena are some of them, and even though there are OS X counterparts with better graphics and better performance, I can't get enough of the old original titles. When writing this story, I knew the target audience would be small. Still, if you use Mac OS 9 and happen to read this, take a minute to share your setup. What do you use it for and why? We'd love to hear your stories! And finally, a big thank you to the Classic Mac users out there who have supported and used Intego products since day one! This entry was posted in Apple, Intego, Recommended, Software & Apps and tagged Mac OS 9, NetBarrier 2.2, Personal Backup 2.0.1, VirusBarrier 1.6.2. Bookmark the permalink. I still use OS 9 every day for audio production. I’ve used SilverKeeper for backups but Personal Backup seems a LOT more versatile, will take it for a spin to try! Great read, thanks! I still have a OS 9 machine, but mostly for nostalgic reasons. Setup is a QuickSilver PowerMac with a PowerLogix Dual 1.7 G4 (only 1 processor recognized in OS 9), FW800 card, and ample HD space. Reading this will make me start it up again today! Nice setup! That PowerLogix must make OS 9 run like a dream, even with just one CPU. Yo, I use two 300 Mhz Macs with 9.2.2 for gaming (Diablo, Realmz etc.) alone or over a network, and also AppleScript & other types of programming. And for anything else I can that is best done in OS 9.2.2 in terms of productivity and comfort (which, thanks to its crazy good UX, is plenty). Then I VERY recently purchased a G5 Quad Core and all extra components to buff it up to the maximum imaginable capacity in performance (even flashing ROMs into otherwise incompatible GPUs), and now my dream is to write Mac OS 9.2.2 drivers to make it compatible with any G5 Quad Core, and one day have OS 9.2.2 bootable and usable without new bugs. I’m a mac user since… well, lets say, the 90s! Currently, I’m using a Quicksilver G4 w/MacOs 9.2.2 just for kicks and some old games and fine audio edition. That makes a lot of difference. Even if the machine takes some time for processing some file (as image processing or audio editors memory based programs-best ones) the results worths the time. In that machine I’m able to connect the net thanks to Classilla 2.3.3 (Thanks 2 Cameron Kaiser!!) and this security stuff you release here is a priceless addition, thank you again.